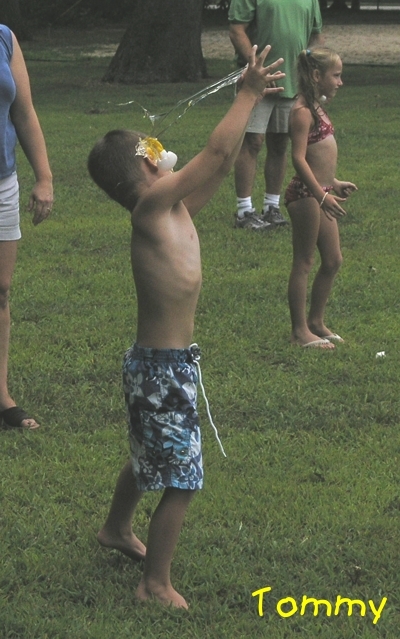 Everyone seems to love the Egg Toss Contest. 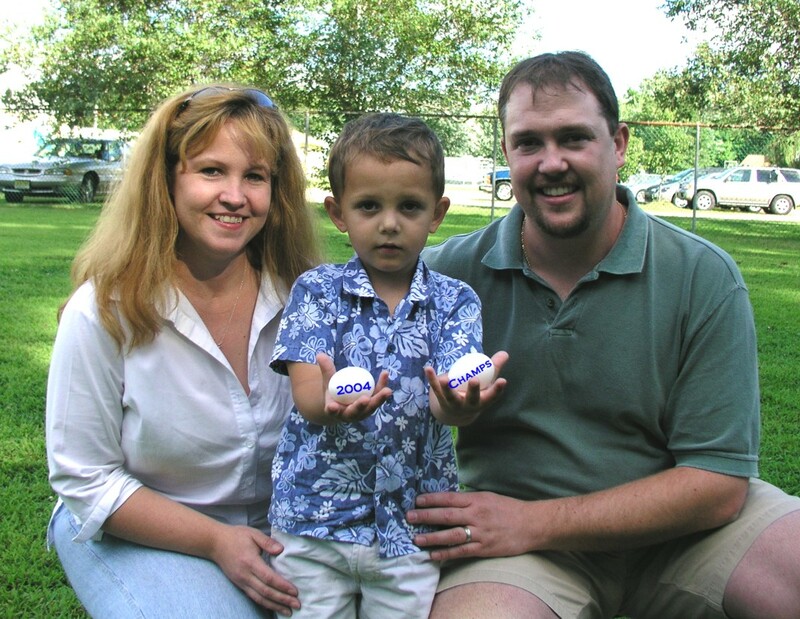 In tribute to the winners, I have created a separate page to highlight this event and the winners. I hope you enjoy it as much as we do! 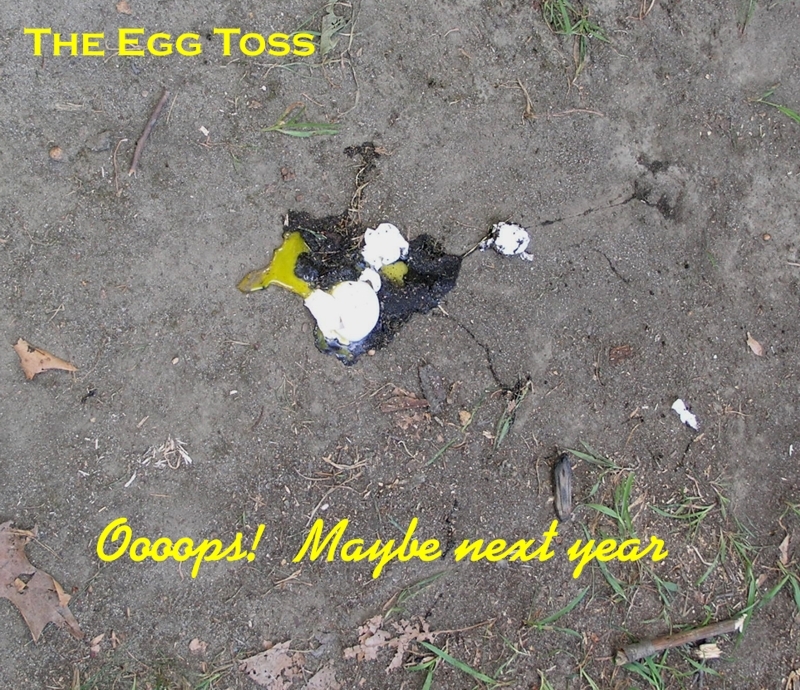 It may take me a bit of time to get this page completed, so come back often to check on it. 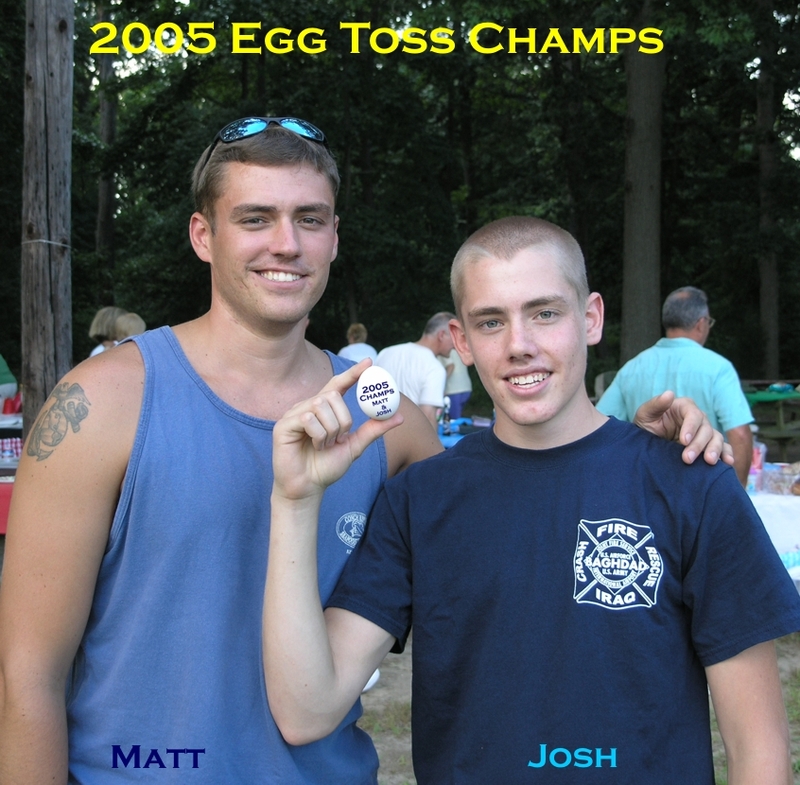 The 2005 Winners of the Annual Egg Toss were Matt and Josh. 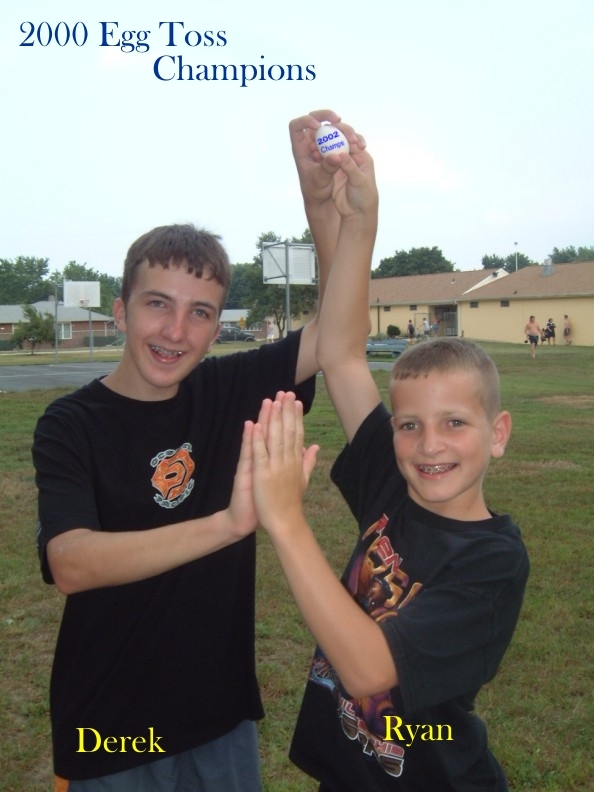 Asked what their secret was, Matt replied, "Soft hands and a hardboiled egg!" 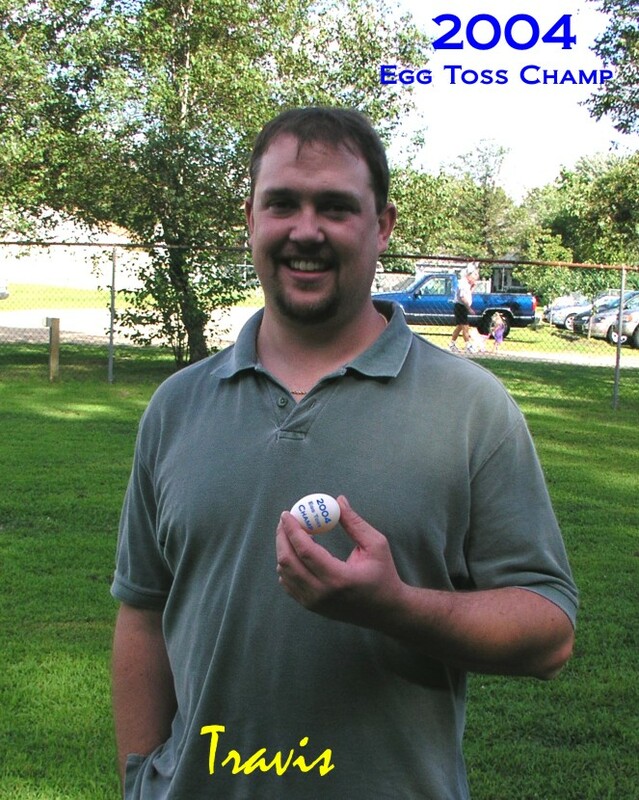 Best "miss" of the year goes to Tommy, Jr. - check out the picture at the right. 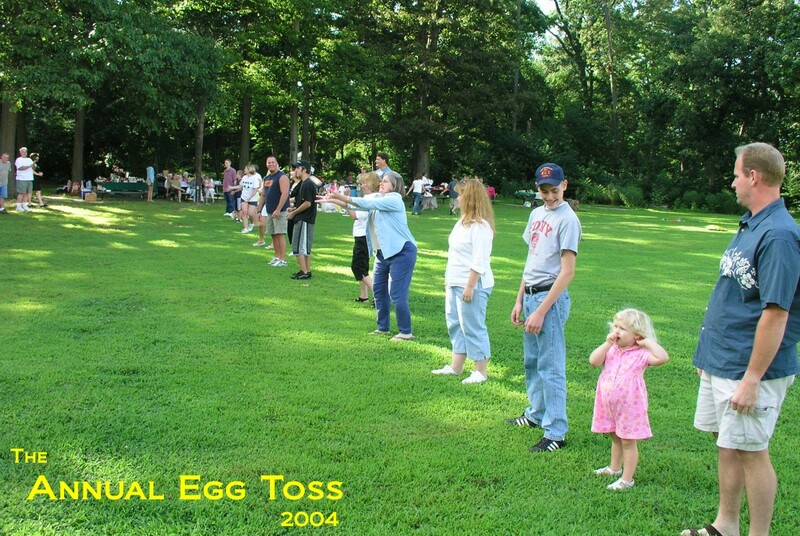 The 2003 Winners of the Annual Egg Toss were?